You deserve to smile again. Have you stopped smiling around others? Are you not able to eat the foods you love? Do your gums bleed when you brush and floss? Are you wondering if dental implants are right for you? are interested in a second opinion? Don't wait another day! 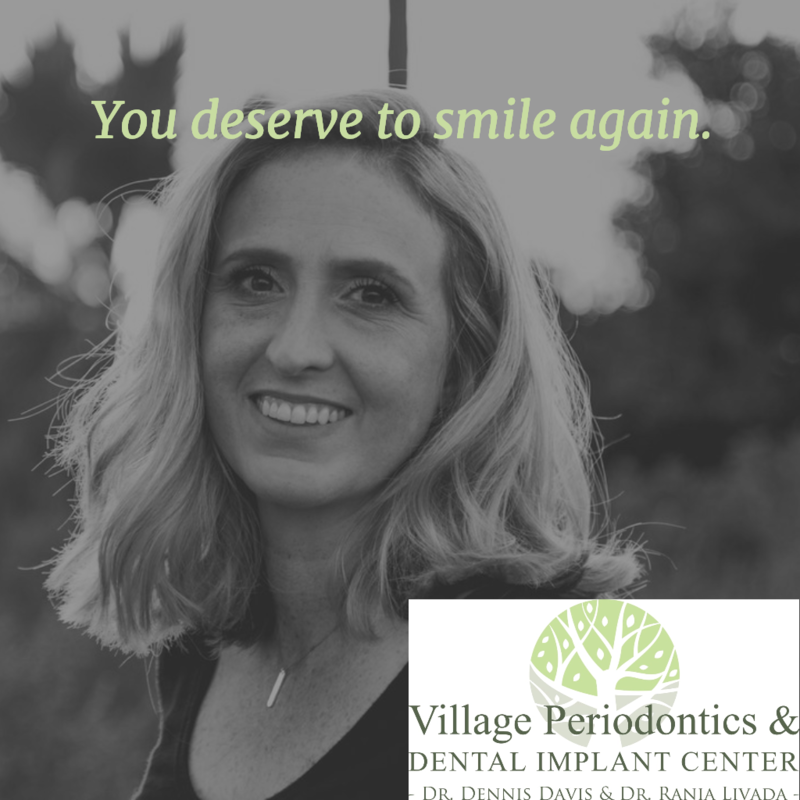 Get your questions answered with an initial visit to Village Periodontics and Implant Dentistry. Request your appointment below TODAY and receive your new patient initial visit for over 75% off. A Comprehensive Exam, Oral Cancer Screening, X-Rays, CT Scan, Clinical Photos, Treatment Consultation, and More! The Village Periodontics and Dental Implant Center team has a WOW factor because we are welcoming, caring, empathetic, organized, and educated. Patients recognize the welcoming attitude during their first phone call when they are greeted in a friendly, professional manner and are scheduled within a week. The atmosphere in the reception area, where patients have a brief wait, is comfortable and beverages are available. When patients enter the treatment area, they are met with the same reassurance and superior treatment that would be provided to loved ones. The WOW Factor is evident from your first phone call and every visit thereafter.